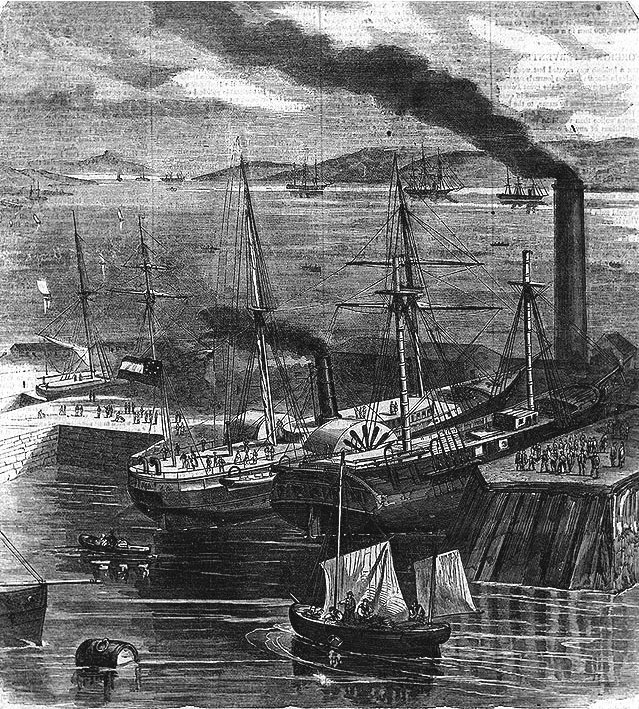 CSS Nashville , a 1221-ton side-wheel steamer, was originally a passenger steamer built at Greenpoint, New York, in 1853. 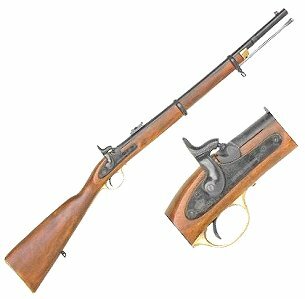 She was seized by the Confederacy at Charleston, South Carolina, in 1861 and converted to a lightly-armed cruiser. 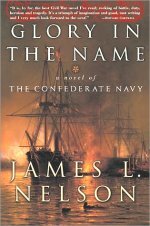 Nashville made one combat cruise under the Confederate Navy flag, starting in October 1861. 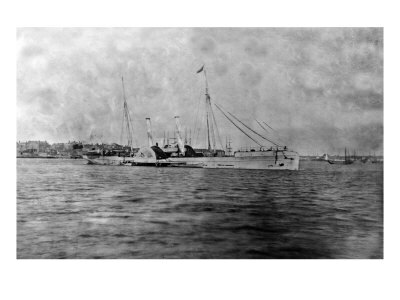 She captured and burned the sailing merchantman Harvey Birch in the English Channel on 19 November, and spent some time at Southampton, England. Returning to American waters early in 1862, she captured and burned the schooner Robert Gilfillan on 26 February. 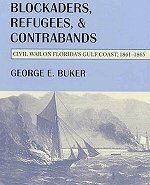 Two days later, she ran the blockade into Beaufort, North Carolina, remaining there until mid-March, when she went to Georgetown, South Carolina. 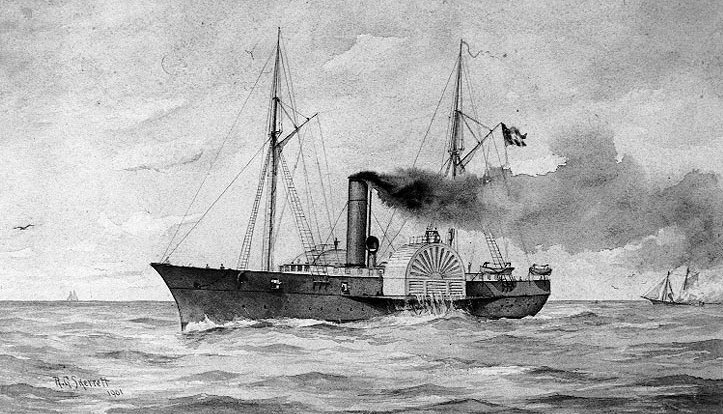 Sold to private interests and renamed Thomas L. Wragg , she operated as a blockade runner, but was hindered in this employment by her deep draft. After arrival near Savannah, Georgia, she was sold again in November 1862, to become a privateer under the name Rattlesnake . On 28 February 1863, while still in the Savannah area, she was destroyed by the monitor USS Montauk . Drawing by George H. Rogers, depicting the ship "on blockading service off the coast of Florida, winter of 1863". The artist served on board Adela as a Pharmacist's Mate. Courtesy of Charles Rodgers Lord. 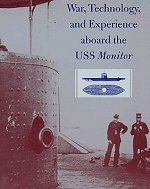 In July 1862, the Confederate captain Raphael Semmes received orders to report to Liverpool, where he would take command of a secret new British-built steam warship. 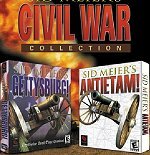 Every aspect of Confederate ironclads is covered: design, construction, armor, armament, life on board, strategy, tactics, and actual combat actions. 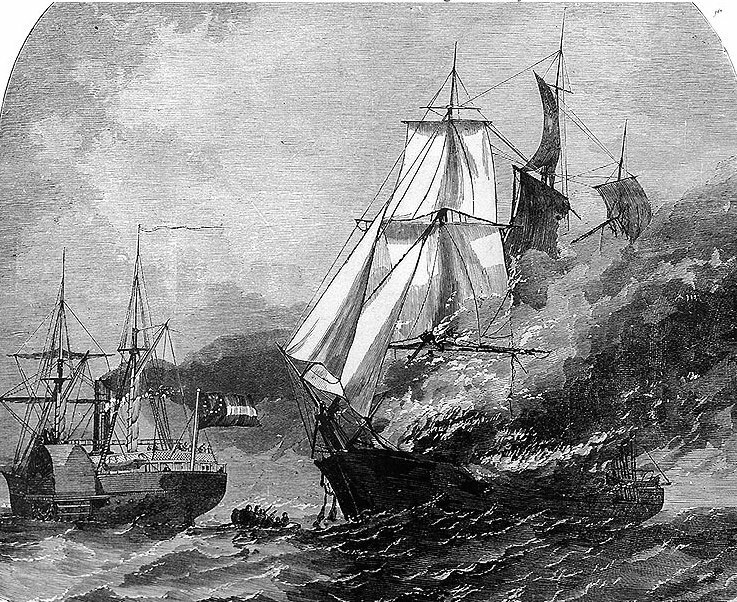 Line engraving published in "The Soldier in Our Civil War"
CSS Nashville capturing and burning the U.S. merchantman Harvey Birch in the English Channel, 19 November 1861. "The 'Nashville' and 'Tuscarora' at Southampton"
The CSS Nashville (1861-1862) in dock at Southampton, England, circa January 1862, with USS Tuscarora (1861-1883) keeping watch in the right distance. 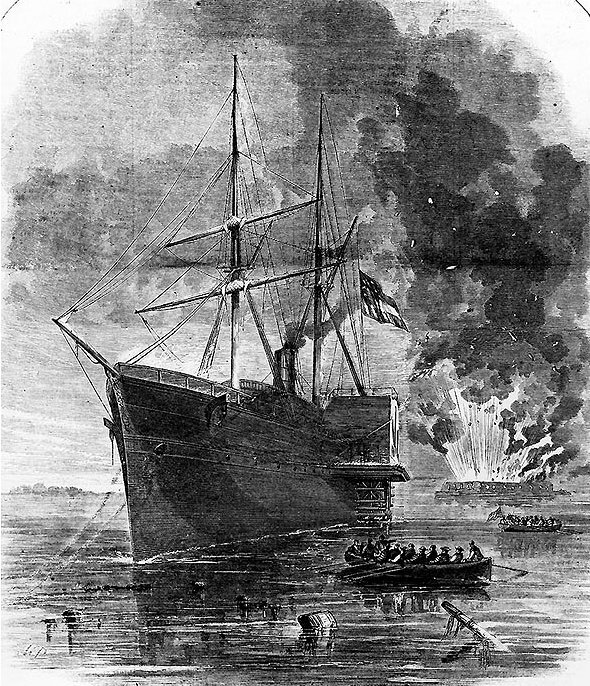 "The Rebel Steamer 'Nashville' Running the Blockade at Beaufort, North Carolina." The CSS Nashville (1861-1862) running into Beaufort on 28 February 1862, after her raiding cruise in the Atlantic and European waters. 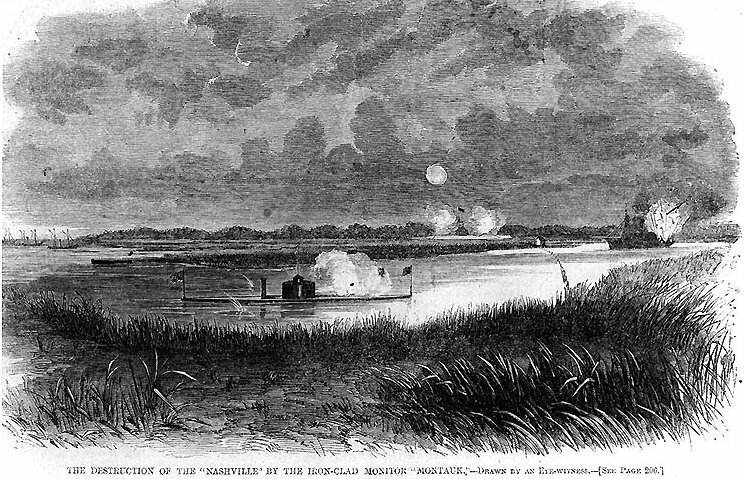 T the monitor USS Montauk shelling the Rattlesnake in the Ogeechee River, Georgia, 28 February 1863. Fort McAllister is in the right-center distance. 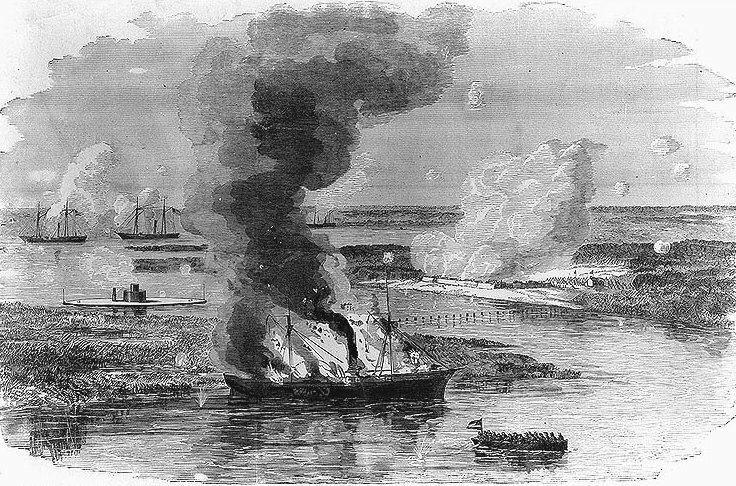 The Rattlesnake burning after being shelled by the monitor USS Montauk , commanded by Captain John L. Worden, USN, in the Ogeechee River, Georgia on 28 February 1863. Fort McAllister is in the right-center background, and the U.S. Navy gunboats Wissahickon , Seneca and Dawn are providing supporting fire in the left distance. 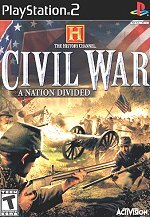 Take command of either Confederate or Union troops and command them to attack from the trees, rally around the general, or do any number of other realistic military actions.